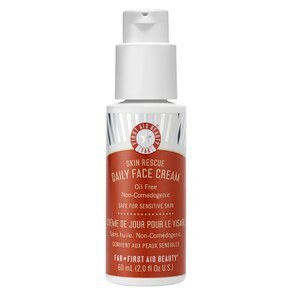 Perfect for those with combination, oily or sensitive skin, the First Aid Beauty Daily Face Cream is a lightweight moisturiser blended with a powerful botanical antioxidant that effectively hydrates, nourishes and calms redness and irritation on the face. 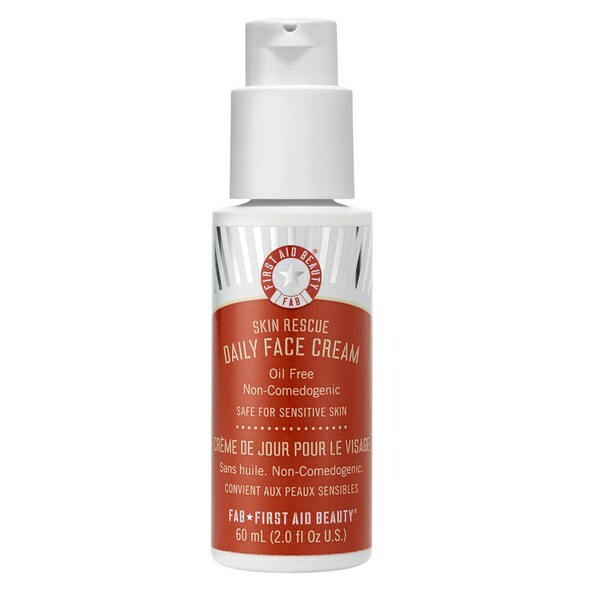 Non-comedogenic, which means it won't block your pores and cause breakouts, the skin rescue remedy will actively improve your skin's natural barrier function to leave you with protected skin that feels soft, supple and moisturised. - K.N. *Free from parabens, harsh chemicals and colourants. Safe for sensitive skin. Non-comedogenic. 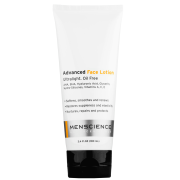 After cleansing, smooth cream over entire face. Water, Glyceryl Stearate SE, Glycerin, Squalane, Caprylic/Capric Triglyceride, Dimethicone, Sclerotium Gum, Cetyl Alcohol, Cetearyl Alcohol, Ceramide 3, Caprylyl Glycol,Phenoxyethanol, Camellia Sinensis Leaf Extract, Chrysanthemum Parthenium (Feverfew) Extract, Glycyrrhiza Glabra (Licorice) Root Extract.